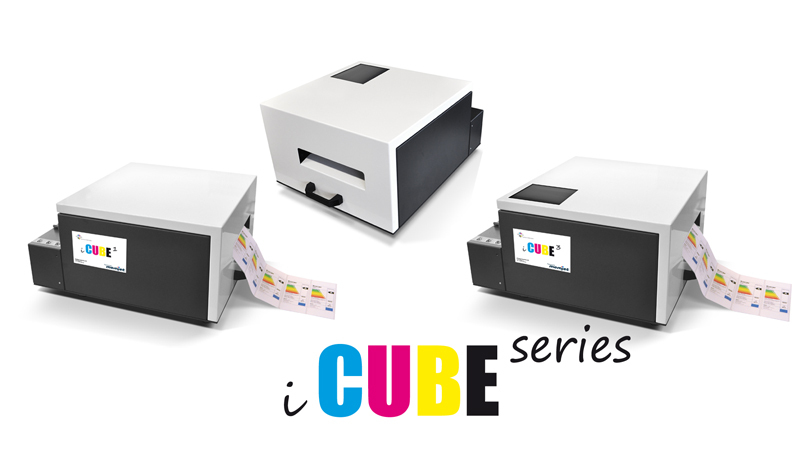 The iCube roll to roll high speed and low cost per print colour label image printer can be used with low cost uncut labels rolls. When the label images have been printed printed the rolls are transferred to the PRIMERA FX1200e and the labels digitally cut to any size or shape. The FX1200e can optionally laminate the labels before cutting so that the labels are protected against acids, oil and other contaminates making it possible to make extreme durable labels with your Memjet iCube for those arduous conditions even for extended outdoor use. The PTPrintE software wizard included imports your label artwork and arranges a best fit of several images onto the available 216 mm media width. The cut line can be added manually or automatically to say .jpg files or extracted from .eps files with cut lines automatically making it just a few clicks to start printing and cutting any shape or size labels at extremely low cost per label ideal for reducing costs and ideal for short run print houses.